The other day, Colin brought home his most recent school writing assignment. I don't know if it is because he is my son or what--but this struck me as absolutely hilarious. Remember, Colin created and wrote this entirely on his own. 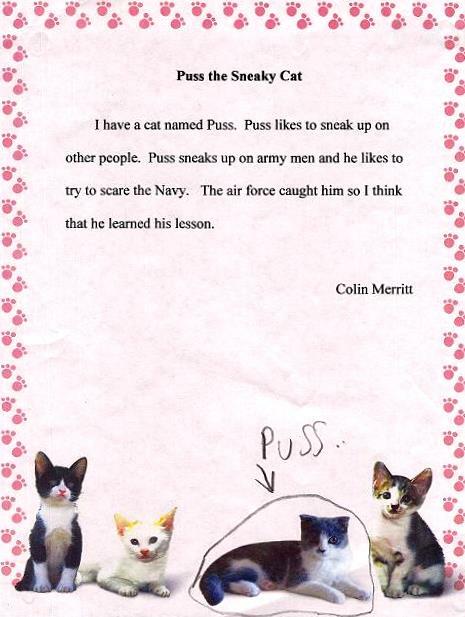 Apparently, his class is learning about cats and the Armed Forces. That is extremely creative but hilarious!!!!!!!!!! More commonly known as "The Last Supper"